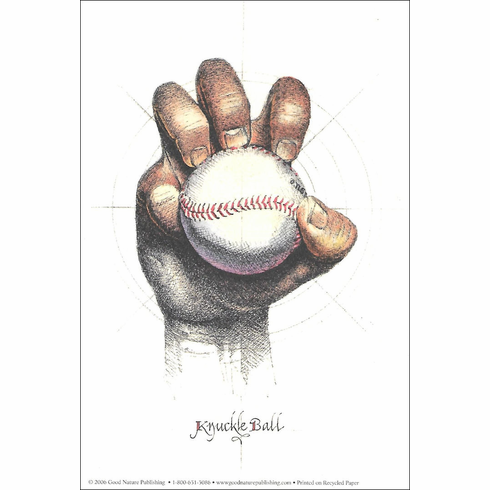 This detailed depiction of a knuckle ball pitch is perfect for baseball art lovers. Printed on recycled paper. Unframed. 6" x 9" prints are $3.99 each or you can buy the complete 5-piece set which includes one 6x9 Knuckle Ball, one 6x9 Slider, one 6x9 Fast Ball, one 6x9 Curve Ball, and one 6x9 Anatomy of Baseball for only $14.99 for the set.